The City of Kettering provides residents with supplemental services, not provided by the Montgomery County Animal Resource Center. 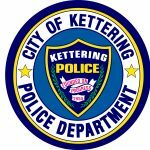 In Kettering, the Community Service Specialist works directly through the Kettering Police Department. The Community Service Specialist can be reached at 937-296-3266. A request for a live trap can be made for stray and roaming cats and dogs. Cats and dogs are impounded at the Montgomery County Animal Resource Center (937-898-4457). Kettering residents are not permitted to set a personal live trap on their property. Residents may contract the help of a licensed trapper through the State of Ohio Department of Natural Resources. The Community Service Specialist maintains a lost and found file for all types of pets that are apt to stray or become lost. When your pet is lost, begin your search by filing a report with the Community Service Specialist. Duplicate copies are kept by Kettering Police Dispatch (937-296-2555) to make information available 24 hours a day. A dog or cat I.D. tag is a lost pet’s ticket home. You can purchase your dog license, which is required by state law, from the Community Service Specialist. Call 937-296-3266 for more information.